August 8, 2017 . Leave a comment. 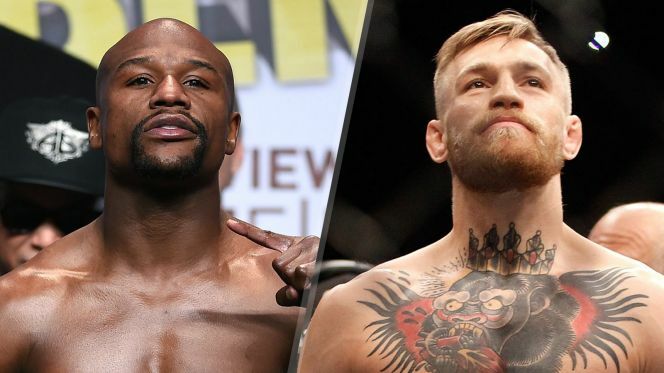 We are about to witness one of the biggest combats in boxing history on August 26, as Conor McGregor and Floyd Mayweather prepare to face off each other at the in Las Vegas. This fight promises to be the biggest in boxing history till date. Mayweather is regarded as one of the greatest in UFC history, and he takes on UFC lightweight champion McGregor. Mayweather is the five division world champion who comes into the fight with a record of 49-0. McGregor is from Ireland and he has a record of 21-3. Yet, this is being billed as the fight which could see Mayweather lose the unbeaten crown, as McGregor will be bringing something different to what Mayweather has faced up until now. The records, money, and the attention are all upon Mayweather. This explains the reason behind Mayweather v McGregor betting odds being heavily skewed in favour of the former. Mayweather can be backed at 1/5 for a win, while McGregor is at a distant 4/1 for the victory. The biggest advantage for McGregor is the unorthodox style. He happens to be a southpaw with awkward and hard punches coming up against the opposition. McGregor is quite confident about his ability to read the opponents, while his accuracy is also extremely high. It also appears that McGregor is coming up with a unique set of tactics in order to deal with the might of Mayweather in front of him. Yet, the fight taking place in Las Vegas’ T-Mobile Arena may come at a disadvantage without the home support. There is extreme pressure on him due to his involvement in the ‘billion dollar fight’. Mayweather makes it extremely difficult for opponents to sneak any advantage in the game, as he might just be the best defensive boxer around. It is also extremely hard to land a clean shot on him. However, there may be concerns about age is catching up with the unbeaten boxer. In the fight just before his retirement, Mayweather could only manage 19% of the total punches that he threw against Pacquiao. Mayweather might just face his biggest threat to the unbeaten record. Despite the uncertainty provided by McGregor, Mayweather is expected to prevail and get a win. Next post: What Is Hurting Griffin?